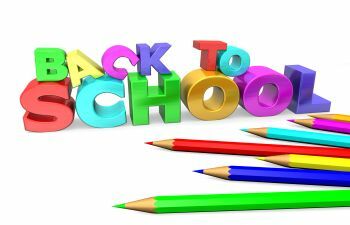 It’s August and that means one thing: Back to school! It seems like everything in our city is revolving around the kids going back to school. Our traffic patterns change. Stores are rearranged with school supplies. Kids and parents are either celebrating or dreading the first day of school. There is a buzz all around Atlanta, Georgia and it sounds like kids, kids, kids. At Feather Touch Dental Care, we love your kids and education. We know that education unlocks the world and brightens futures every day. We thank all the teachers who make every day of learning fun, educational and interesting. Feather Touch Dental Care also joins efforts with education as we teach your children how to maintain good oral health at a young age during their pediatric dentistry appointment. We want to join you in setting your child up for a healthy dental future and prevent preventable dental issues through education. Play pretend while you’re brushing. Choose an animal and pretend to be it during the two-minute brushing session each night before bed. After your child spits in this sink, don’t rinse it immediately. Instead, check for any patterns or constellation-like pictures you can find splattered in the sink. After flossing, you and your child can swing the used floss around like a cowboy with a lasso and see who can get it closest to the trashcan. Feather Touch Dental Care can’t wait to welcome you and your kiddos into our office. Come and see us.